Lately I’ve been experimenting with different Macaron fillings to varying degrees of success. Raspberry jam was too runny, but then chocolate ganache was too rich. 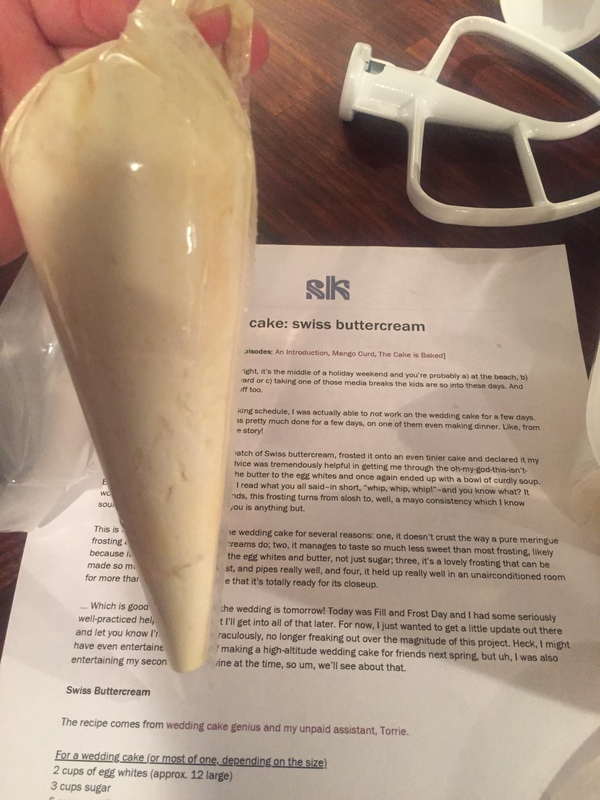 I found a recipe for Swiss buttercream from smitten kitchen (one of my favorite food blogs), and tested it out in the tiniest amount listed. I’d never made this particular type of buttercream before, and I was nervous about how the heated egg white step would turn out. The frosting whipped up light and smooth. I added a heaping spoonful of lemon curd to the mix, thereby creating a delightful lemony version. It was delicious sandwiched between the macaron cookies I made a few days ago. Today’s #OneGoodThing was a small experiment with lemon Swiss buttercream. Day 335 of 365. And Day 1,066 in a row (here’s the first 366 & the following 365)!